Davis Gaines (The Phantom of the Opera) takes on the famed role of Fagin in this Musical Theatre West production of the long-time fave Oliver! at the Carpenter Performing Arts Center in Long Beach. Lionel Bart brought Charles Dickens' unforgettable characters to vivid new life with this lively, heel-kicking classic about an innocent orphan thrown into the dark world of double-dealing thieves and con men of 19th-century London. Overflowing with jubilant songs like "You've Got to Pick a Pocket or Two," "Consider Yourself," "I'd Do Anything" and "Food, Glorious Food," this Tony and Olivier Award-winning show is one of the few musicals to also win an Academy Award for Best Picture. 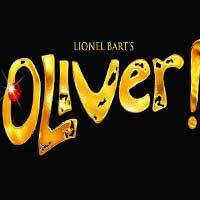 "...Lionel Bart's Oliver! is back in town in its first major L.A. production in over ten years and what a joy it is to re-experience (or to discover for the first time) Broadway's Greatest Dickens Musical at Long Beach's Musical Theatre West."